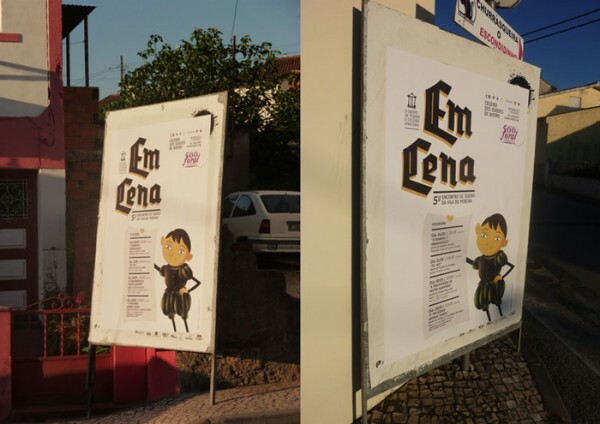 Illustrations and design of the poster, flyer, custom lettering and character for the 5th edition of EmCena, a theatre meeting of Vila de Pereira. After a few years using brush and ink, I decided it would be fun to go back to the technique I used in the first poster for EmCena. 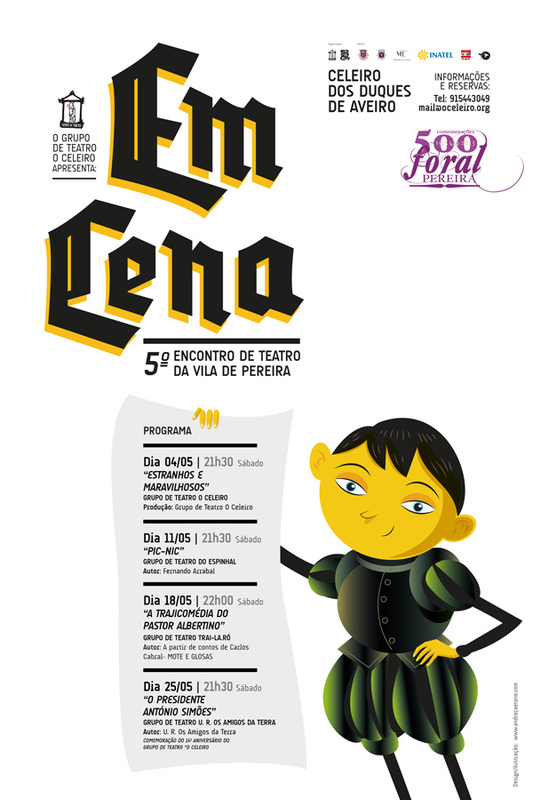 So I’ve done all the illustrations in vectors, including a custom lettering that has a renaissance, medieval feel to it, because the Vila de Pereira celebrates 500 years since our Foral, which was a royal document in Portugal, whose purpose was to establish a concelho (Council) and regulate its administration, borders and privileges. 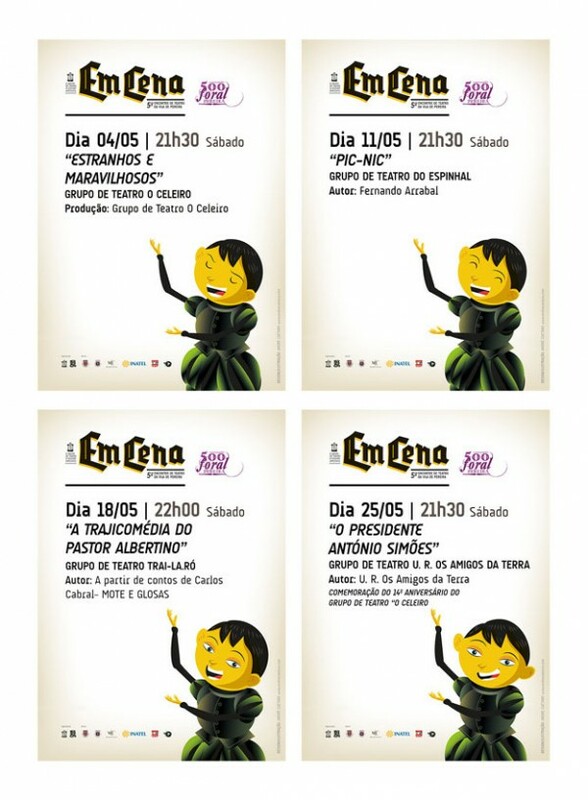 Forais were granted between the 12th and the 16th centuries. 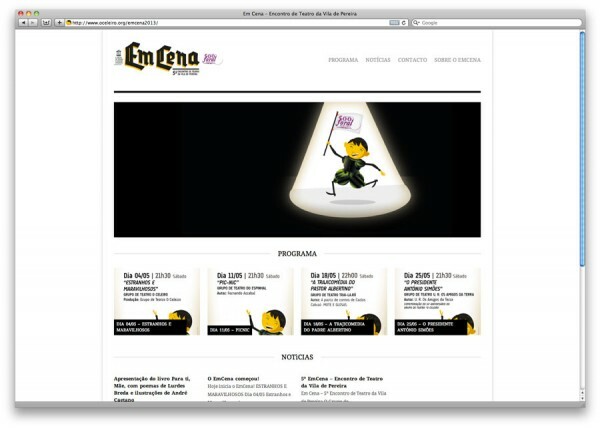 Visit the link below for more information on this project!